I’m sure you’ve wondered about the process of getting a boat from a mere idea to the showroom. 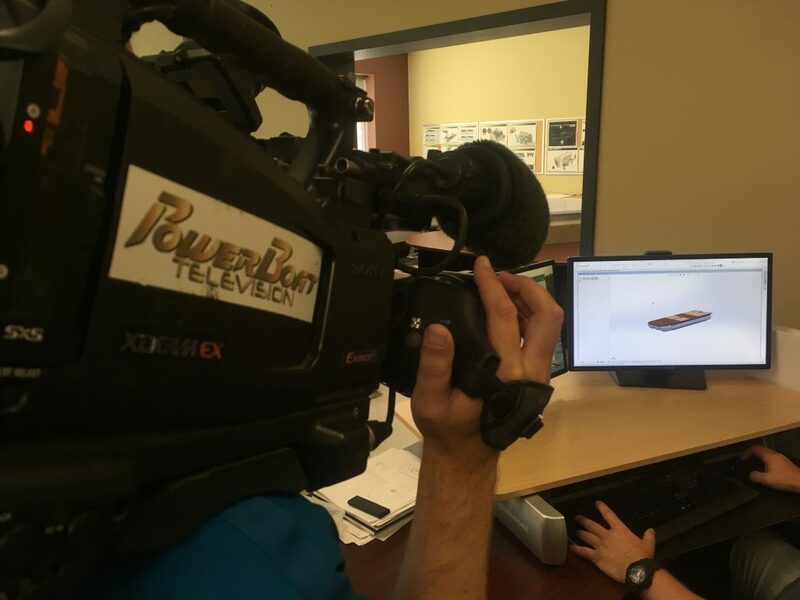 We were fortunate enough to be offered a peek behind the curtain at the Princecraft production facility in Quebec. As boating trends change, and new marine technologies are developed, the demand for innovation is growing. 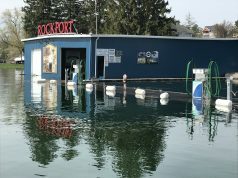 Pontoon boats are not immune to this phenomenon. With their boom in popularity, manufacturers are ever evolving to maintain their share of the market. Princecraft’s affordable Vectra lineup is well-established as one of the company’s most popular pontoon boat series, but that doesn’t mean they’re rolling off the production line like it’s 1999. Back then, the biggest Vectra money could buy was 20 feet long and for those on a budget, there wasn’t much over 20 feet. The progression of the Vectra series is a reflection of the changing marketplace. It wasn’t until 2005 that the first 24-foot Vectra was introduced, but it quickly disappeared as the line-up shrunk back down to smaller models in 2007. Though, by 2010, the Vectra line was back up to six models ranging from 17 to 21 feet, with eight models up to 24 ft in 2014. In 2017, the latest 25-ft Vectra finally arrived — indicating a shift in the value category to somewhat larger boats. Today there are ten Vectra models available in several different log configurations. They remain quite affordable (for their value). The 17-footer starts at just over $17,000 and the 25 is just over $26,000. The base Vectra 17 comes factory equipped with three lounges, a swivelling captain’s chair, 160-watt sound system, three walkthrough gates, a bimini top (and more) — all standard. 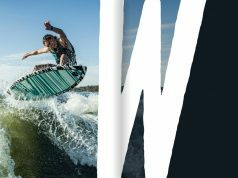 Since pontoon customers are getting more use out of their boats, these standard features are expected, even on a value conscious boat. These, really, are just the starting point when it comes to enhancing the pontoon boat experience. Princecraft’s Product Manager and Marketing and Customer Experience Director, Jean-Philippe Martin-Dubois, places emphasis on the ability to be nimble in navigating the shifting needs of consumers. With major shakeups occurring more frequently and new models being rolled out more rapidly, development has been accelerated. What used to take three years can now be done in about eighteen months — that’s a pretty quick turnaround considering the time it takes just to generate and vet new ideas. When a new feature debuts on a boat, it is safe to bet a ton of market research is behind the idea. Most manufacturers will gather valuable feedback from as many sources as possible, including their dealer network and customer base, before making any changes. Princecraft conducts annual meetings with their top dealers in North America to funnel regional information from their retail network. Direct customer feedback occurs through focus group research and consumer shows. If you are ever asked to fill out a survey at a boat show, don’t be shy. It’s these kinds of responses that lead to the features and options on boats today and there’s a good chance your input will be used to help guide a future project. 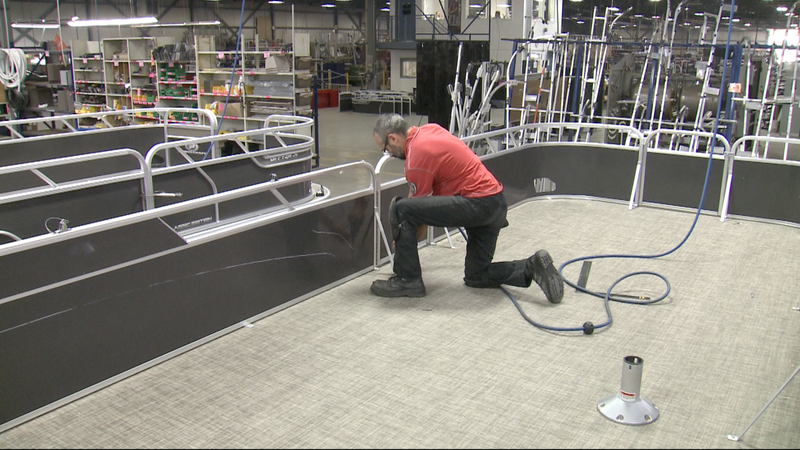 By optioning luxuries like larger swim platforms, fridges, bars, galleys and heads, Princecraft makes the pontoon boat more appealing to cruising boaters who don’t want to stay on the water but still want the comforts they are accustomed to while onboard. Once an idea is cemented, the clock starts ticking. Having the latest development tools can help accelerate the process. Computer modelling gives Princecraft’s designers the freedom to visualize new ideas and test their efficacy in real time, before building the first prototype. For design elements that require visual confirmation, a sketch phase will often occur prior to any physical modelling or 3D mock-up so the team can consider variations in materials, textures, colours and graphics. The engineers still have to get everything right before the moulds are finalized. Prototypes are built for water testing so the layout, furniture, engine and even human mass can be checked in various arrangements to ensure loads are properly balanced. Then the boat can be built. At Princecraft, a large portion of the build process is completed in-house. It’s at this stage it becomes obvious the company’s location might prove to be a distinct advantage. It’s been located in Princeville, Quebec since 1954, where according to Martin-Dubois, it used to be the place to be for boat manufacturing. A group of experienced marine suppliers remains in the area, allowing Princecraft to source components locally. This proximity accelerates lead times and grants close collaboration during the design, fitment and testing phases. 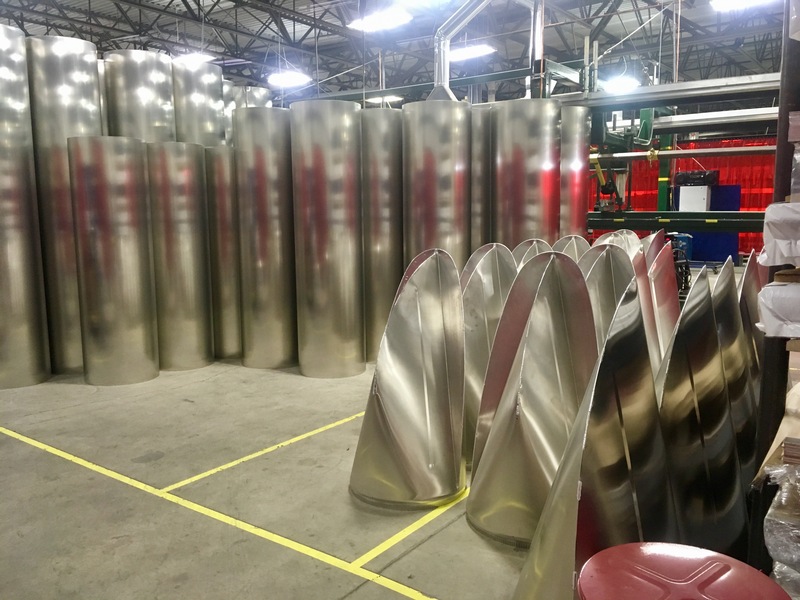 There are hundreds of steps in the manufacturing process and dozens of people involved, but it all starts with sheets of 5052-H36 aluminum alloy. The sheets are rolled and welded to make the tubes. End caps are pressed and welded to stern sections, while nose cones are fabricated and welded to bow sections. 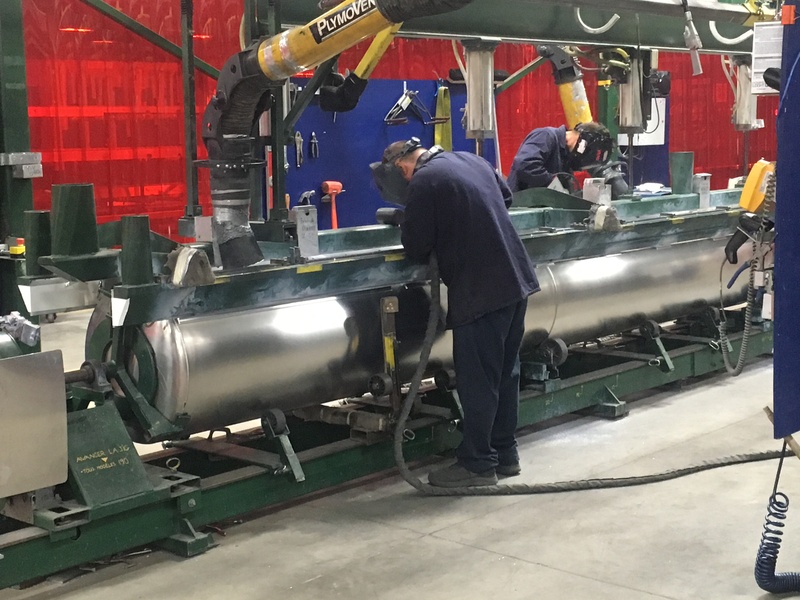 Depending on final length, several sections are then welded together in a huge jig to form a complete tube. 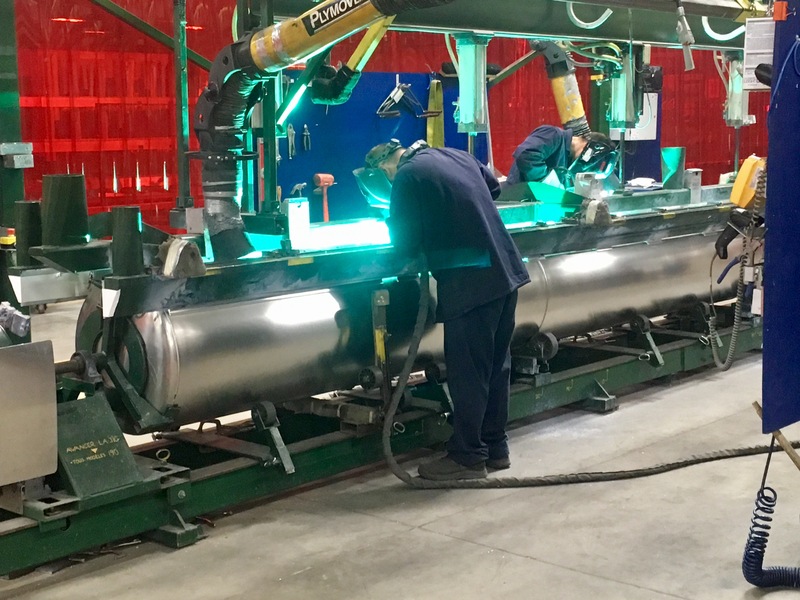 Cross-channel supports and full-length keel members are cut and welded in place before each section of each tube is pressurized to ensure there are no leaks. Heavy duty Z-bar cross members are cut and fixed in place while the vinyl flooring is cut to length from the selected roll. Once the pressure treated plywood is riveted down, adhesive is applied by spray gun for a nice even coat. Then vinyl flooring is laid down and the aluminum skirting is secured in place. 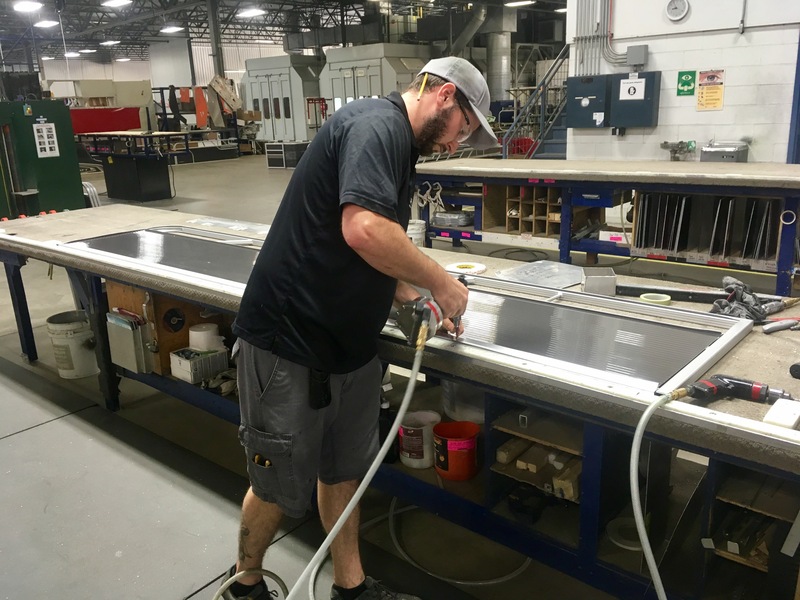 Railing assemblies are fabricated in-house with jigs for accurate cutting and welding. Painted side panels are secured to the railings before being bent as a single unit. The rails and gates are then secured in place on the deck before furniture is added. The furniture components arrive in pieces and are assembled on site. Speakers are installed into seat bases and gauges and doors are added to consoles — all by hand. After assembly, the furniture is carefully installed on the deck. This is when the boat really starts to take shape. 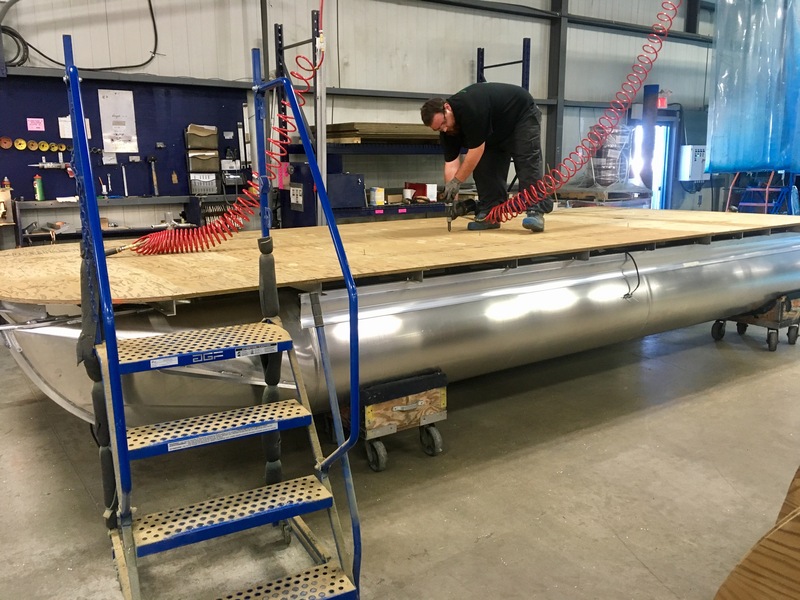 Several tube configurations with varying degrees of lifting strakes and spray shields are available, depending on how much power and performance the customer has selected. All of these options and configurations are meant to provide maximum flexibility. The Mercury outboard is added to the transom before the boat heads to its final stop on route to the showroom: the shrink-wrapping department. Each boat is carefully packaged to protect it from the elements. 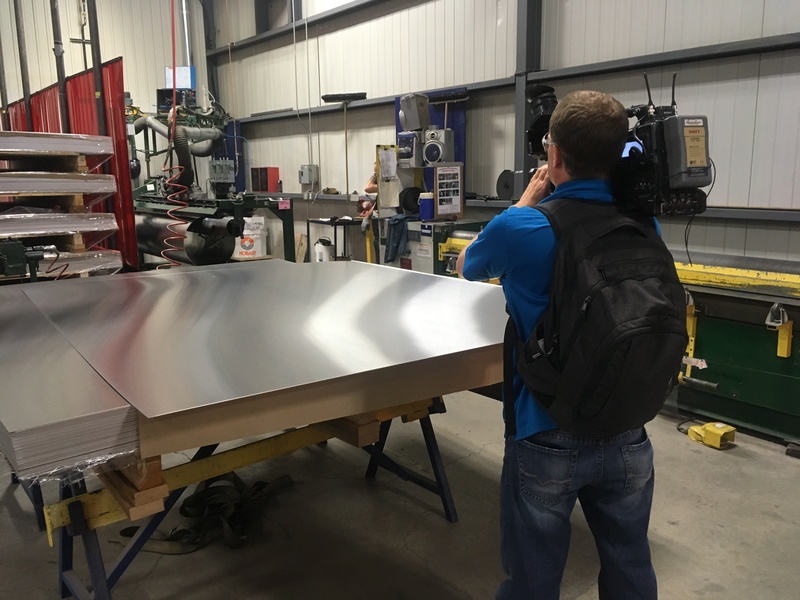 From the first weld to the plastic wrap, the whole process takes approximately three days. About eighteen months after the initial idea is born, the finished product is shipped to the local dealer, ready for its first adventure.